Heinrich Himmler and Reinhard Heydrich became jealous of the power of the Gestapo and began to spread rumours about Diels's loyalty to Adolf Hitler. One of these stories claimed that Diels had joined the conspiracy being organized by Ernst Roehm. Without the support of Hermann Goering Diels would have been killed during the Night of the Long Knives. In April 1934, Hermann Goering, under pressure from Heinrich Himmler and Wilhelm Frick, agreed to hand over control of the Gestapo to the Schutzstaffel (SS). In 1936 Himmler placed the Gestapo under the command of Reinhard Heydrich with Heinrich Muller becoming the chief of operations. During the Second World War there were 45,000 members of the Gestapo. However, it is estimated they also employed 160,000 agents and informers. When the German Army occupied countries they were accompanied by the Gestapo. When on foreign duties they wore civilian clothes or SS uniforms. They were responsible for rounding up communists, partisans and Jews and others who were considered to be a threat to German rule. The Gestapo quickly developed a reputation for using brutal interrogation methods in order to obtain confessions. 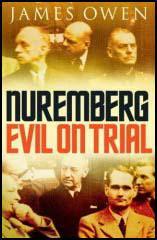 At the Nuremberg War Crimes Trial the Gestapo was indicted for crimes against humanity. By this time most of its leaders were dead or like Heinrich Muller, had escaped capture by assuming another identity. I became commissioner of the Interior in Prussia and at the same time Minister of the Reich. I had taken on a heavy responsibility and a vast field of work lay before me. It was clear that I should be able to make a little use of the administrative system as it then was. I should have to make great changes. To begin with, it seemed to me of the first importance to get the weapon of the criminal and political police firmly into my own hands. Here it was that I made the first sweeping changes of personnel. Out of 32 police chiefs I removed 22. New men were brought in, and in every case these men came from the great reservoir of the Storm Troops. I was in charge of the Gestapo until the beginning of 1934. Meanwhile Himmler was in charge of the police in provinces of Germany with the exception of Prussia. Himmler had become the leader of all these police forces, and, of course, he now sought to get the leadership of the police in Prussia as well. It was not agreeable to me, I wanted to handle my police myself. But when Hitler asked me to do this and said that it would be the correct thing, and it was proven, I actually handed the police over to Himmler, who put Heydrich in charge. (3) Ernst Thaelmann was arrested by the Gestapo on 3rd March 1933. He was later able to smuggle out details of his interrogation. It is nearly impossible to relate what happened for four and a half hours, from 5.00pm to 9.30pm in that interrogation room. Every conceivable cruel method of blackmail was used against me to obtain by force and at all costs confessions and statements both about comrades who had been arrested, and about political activities. But the actual high point of this drama was the final act. They ordered me to take off my pants and then two men grabbed me by the back of the neck and placed me across a footstool. A uniformed Gestapo officer with a whip of hippopotamus hide in his hand then beat my buttocks with measured strokes, Driven wild with pain I repeatedly screamed at the top of my voice. Then they held my mouth shut for a while and hit me in the face, and with a whip across chest and back. I then collapsed, rolled on the floor, always keeping face down and no longer replied to any of their questions. I received a few kicks yet here and there, covered my face, but was already so exhausted and my heart so strained, it nearly took my breath away. (1) Operations against Jews, in particular against their synagogues will commence very soon throughout Germany. There must be no interference. However, arrangements should be made, in consultation with the General Police, to prevent looting and other excesses. (2) Any vital archival material that might be in the synagogues must be secured by the fastest possible means. (3) Preparations must be made for the arrest of from 20,000 to 30,000 Jews within the Reich. In particular, affluent Jews are to be selected. Further directives will be forthcoming during the course of the night. (4) Should Jews be found in the possession of weapons during the impending operations the most severe measures must be taken. SS Verfuegungstruppen and general SS may be called in for the overall operations. The State Police must under all circumstances maintain control of the operations by taking appropriate measures. We all made the discovery that a man can endure far more pain that he would have deemed possible. Those of us who had never learned to pray did so now, and found that prayer, and only prayer, can bring comfort in such terrible straits, and that it gives a more than human endurance. We learned also that the prayers of our friends and relatives could transmit currents and strength to us. (6) Basil Embry was the leader of the Royal Air Force team involved in three bombing raids on Gestapo headquarters in Denmark. Between the end of October 1944 and April 1945, we made three attacks on Gestapo headquarters in Denmark. In each instance the primary object was to destroy Gestapo records and evidence against patriots who were under arrest or about to be arrested for their activities against the Germans, with the secondary object of trying to release the prisoners held in the headquarters and killing as many Gestapo men as possible. The first raid was directed against the Gestapo headquarters for Jutland, which was in a building in Aarhus University. The second raid was against the Gestapo headquarters in Copenhagen. The Gestapo had occupied the offices of the Shell Oil Company in the centre of the town, and the building was known as the Shell House. As usual we had the target and the approaches to it modelled, and planned the operation with the greatest care because the slightest error in navigation or bombing would cause heavy casualties among the Danes. Shortly before the operation took place, I was worried to learn that a large number of the Resistance Movement were imprisoned in one wing of the building and it seemed certain they would perish in the attack. I discussed this with Major Truelson temporarily attached to my headquarters while we were planning the operation, and he assured me that they would sooner die from our bombing than at the hands of the Germans, adding, "Who knows-some might not be killed and succeed in escaping, as happened at Aarhus, and anyhow their death will save many more Danish lives, so don't worry." We lost three Mosquitos and one Mustang on this occasion, but succeeded in completely demolishing the Shell House, destroying all Gestapo records, liberating all the prisoners without the loss of a single life, and killing twenty-six Gestapo. It will always remain a miracle to me that anyone inside the building survived to tell the tale. The third and last attack on the Gestapo in Denmark was on the 17th April when we raided their headquarters at Odense. Bob Bateson with Sismore his navigator again led, Peter and I flying as his No. 2. We had great difficulty in finding the target, a house in a thickly populated area and well camouflaged with netting. We must have been in the target area at least half an hour searching and of course just inviting trouble from German fighters. Happily they never appeared and eventually we found and destroyed our objective. The difficulty we had turned out to be fortunate, for it gave the people in the area time to disperse and not a single Danish life was lost. (7) Pastor Sandbaek was being tortured by the Gestapo when the Royal Air Force bombed the headquarters in Aarhus University. I declared that I had no more to say, after which those devils handed me over to the torturers. They half dragged and half carried me up to the attic of the college, took off all my clothes and put on new handcuffs. To these a string was attached which could be tightened and caused insufferable pain. I was thrown on a bed and whipped with a leather dog whip. I was then taken down to the office again for further interrogation by Werner and his two assistants. Suddenly we heard a whine of the first bombs, while the planes thundered across the University. Werner's face was as pale as death from fright, and he and his assistants ran out of the room. I saw them disappear down a passage to the right and instinctively I went to the left. This saved my life because shortly afterwards the whole building collapsed and Werner and his assistants were killed. I was later rescued by Danish Patriots.